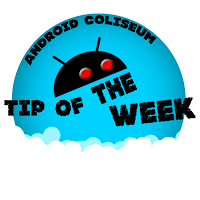 Part of our weekly Hangout we provide a "tip of the week"
This past week's tip of the week is how to change your ring tone / notification on your phone. This is something pretty basic, but I can't tell you how many devices I've run across where they haven't changed it off of stock. If you know how to do this... share this article with someone who doesn't! Go into settings / sounds and you'll have the option to change from the built in preset sounds.